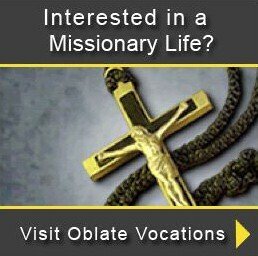 Home » International News » International News » Thank you, Fr. Jim! – Welcome, Fr. Steve! Thank you, Fr. Jim! – Welcome, Fr. Steve! Fr. Jim Allen OMI, during the 36th General Chapter in 2016. After tirelessly rendering his services for 13 long years, Fr. James Francis ALLEN finally says goodbye to the Oblate Communications Service in Rome. 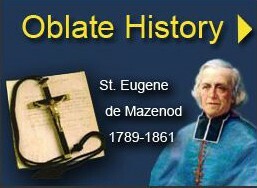 The 80-year old veteran Oblate, who is now the Superior of St. Henry’s Oblate Residence in Belleville, Illinois, in the United States Province, held the position as the Editor of Publications in Rome since 2005. Replacing him is Fr. Stephen CONSERVA, also from the U.S. Province, who partially undertook the responsibilities of his predecessor in September 2018. When Fr. 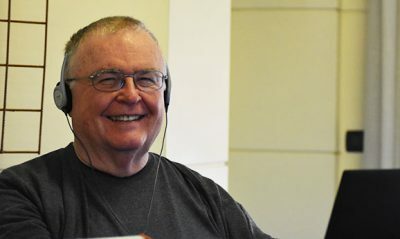 Jim arrived in Rome in 2005 as the Editor of Publications, he was also given the responsibility to be the Associate Director of the Oblate Communications Service. He and Fr. Nino BUCCA (the then Director of Communications) set very high standards for the Service and together worked hard for the development of the Communications Service in the General House. Always updating himself with the new publishing programs and software, Fr. Jim proved that age is no barrier to learning. Many Chapter Fathers would remember with gratitude his painstaking work as the Recording Secretary in the General Chapters of 2010 and 2016. Although he left Rome in 2009 and returned to his mother province as a formator at the Oblate Scholasticate in San Antonio, Texas, Fr. Jim continued his services to the General Administration at their request. Hundreds of editions of the OMI Information newsletter, Communiqué and Documentation (-2011) have been edited and published by him over a decade. 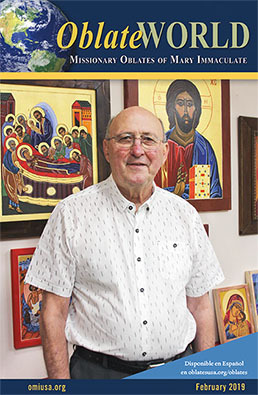 During his long span of priestly life (almost 53 years), he has served as a teacher, principal, vocation director, pastor, formator, superior and director. While appreciating and remembering with gratitude his enormous contribution to the Oblate Communications Service, we wish him well for the future, and especially, good health. Fr. Jim Allen’s replacement, Fr. Steve Conserva is also going to provide his services as the Editor of Publications, while residing in the United States. He is currently assigned to the Shrine of St. Joseph the Worker in Lowell, Massachusetts. 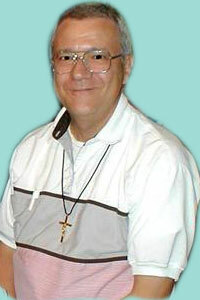 After being ordained a priest in 1974, he was assigned to formation ministry as a Professor of Theology and Novice Director for the Oblates, as pastor in multi-cultural communities of Florida, California and Massachusetts and as Coordinator of the Oblate mission on the Pacific coast of the U.S., residing in Los Angeles and Tijuana, Mexico. All of that and his studies done at the Gregorian University in Rome and St. Paul’s University in Ottawa make him a polyglot just like his predecessor Fr. Jim. While thanking Fr. Steve for his availability and generosity, we wish him all the best in his new assignment.